Hello, everyone and welcome to today's tech, talk with the Department of Homeland Security signs, the technology director or to call ourselves DHS. S&T, today. 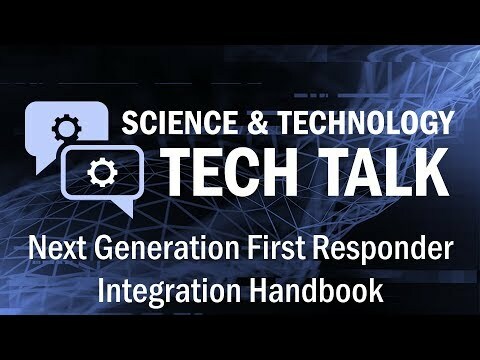 We're going to be talking about the next generation first, responder, integration, handbook, or what we call the ng F our integration, handbook today. We're joined by SMT, program manager norm Spiker and our, first responder partner chief Eddie Reyes thank. 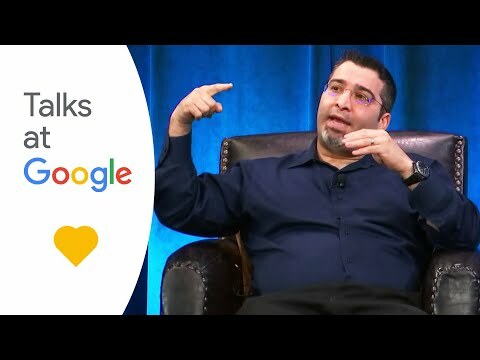 You both so much for being here Thank You Luis thank you today, we're going to start with a few questions on my ends then we're going to open it up to the audience so if you have a question, please post it in the video below and we'll get to it in a couple minutes I want. To start off just big and broad what, is the engi of our integration, handbook so. The energy of our handbook was a, intended. To be technical, guidance that, for, integrating, technologies, in the first-responder space okay so it was to marry up. Identify. Operational, need and ensure that, technologies. As varied, as they may be are. Going to integrate operate, in or interoperates. In the first responder environment, and, when we say technologies, we're talking about you know all sorts of things communications. Absolutely, information, sharing. You know wearables. That monitor. You, know life, vitals, or anything like that that's. The right sensors, communication. Situational. Awareness tools, anything, that, helps. To provide situational, awareness to, the first responders, got it and, what was the catalyst, for creating, the handbook what spurred this. Really. The handbook was created, with. The ideal that we, needed the same plug-and-play environment. That that exists, in the commercial world so, we wanted to identify a core set of standards that would ensure. That, commercially. Diverse. Technology. Could be brought together and that that it would ultimately interoperate. There's, an analogy that I often hear my colleagues speak about is USB, you know if we could achieve a, USB, type standardization. With the technologies, that would, sort of be the panacea right. And She phrase can you explain why that's so important, for Public Safety particularly, for first responders yeah, well I mean I can give you a 30-year perspective, you know when I started in the career you, had everything from RadioShack to, Raytheon. And you know the the latest and greatest and nothing ever interface. With each other in the field and, you know with. You know. 30,000, law enforcement, officers out there and who knows how many police, and fire. I'm sorry fire and EMS agencies, just, the interfacing. Of all that technology especially today where the, cockpits, of all of our vehicles are just loaded, with technology and, just, having one go-to document. That, really kind of lay some standards, out how. All these intricate. Technologies, interface with each other for us really has been a very. Good help yeah, and there's, an important part there about its open standards, these aren't new standards, no in, fact I think many. DHS. Activities. Have been bogged, down with. Trying. To develop new standards, are very. Much our approaches, to reuse what's out there so it's, going to, you. Know guarantee, or ensure, certainly. Hedge our bets that will have impact sooner or later if we're not going through a standardization. Process. Of or. Developing, new standards, so we are to, the greatest extent possible leveraging. Existing standards. Yeah that's, important to me as an end user because, that means I'm not siloed, in to. One proprietary. Hardware, software that. You know I have to be stuck with for the next 10 or 15 years you. Know it allows me a lot of flexibility, especially with interoperable, technology, so, that I can plug and play with different technologies, within my portfolio or, with, my neighbors on the borders, and. That's something that the handbook gets to about you, know going across, jurisdictions, across disciplines, across you, know budget amounts, this is something that every responder, agency, out there can use and say what fits our needs yes. So. I want to ask a little bit about that of how you and how you incorporated, it you know different jurisdiction, different discipline, you. Know needs and technology, needs because there's something to be said for you. Know the way a police officer is going to use a piece of technology is going to be different than the way that a firefighter uses, a piece of technology. What. Kind of considerations go into that so, really. What we tried to do is. Reduce. The technology, to its component, parts so we didn't necessarily, consider. Disciplines, but, we considered. Broad capabilities. And we identified, those broad. Capabilities, we call them modules and essentially we. Thought this. Represents, the first-responder, technology, in its most rudimentary form. That. Was done for a couple reasons, one to AB. Specific. To any given, discipline, to make sure that it's supported all any, and all yeah but more importantly from, a technology perspective, it, it also should. Ensure that, technology, can be swapped out so if you have a commons, capability, or you have a situational, awareness cut capability. That's. Really been defined, in, its rudimentary, forms so ideally, we, hope that we'll be able to switch out those modules for any any. Module. That that adheres, to the standardization, and what are some of those modules I know we have a very helpful infographic, that you can see behind us it's. Available on our website - that lists out what those overarching, modules, are so, if we just talk on body it's it's very basic, in that we have a controller which. You. Know we often draw the analogy of a smartphone really a smartphone is is the closest, thing we currently have to a controller but there, has to be some on body, computing, power memory, etc. Etc smartphones. Sort of fills that niche at the moment certainly the columns pieces, can't, be understated. Oftentimes. You've got situational, awareness applications. Of. Some sort you've got input outputs, how you're interfacing to your radio with with your. Computing. Capability, and then you've got any, number, of on body, sensors, physio. Maybe. A camera things, like that so those are the basic component, parts of on, body, and power if I let power off oh yeah and. And I can tell you that you know as a first responder today's, smartphones, I, mean almost have as much computing, power as a laptop, yeah, you. Know I have my personal, setup is a docking, station for my smartphone it powers up the monitor and I do everything on the smartphone. When, I undock. I take whatever I worked on in the office out to the field and vice versa and so instead of transitioning. Between different devices I'm on one device and. I can just tell you that in today's world, the. Law enforcement, and the fire and EMS communities, are really starting to come closer and closer and more aligned on the technology, that we use I used to be the you know on body worn cameras for came out it was just a law enforcement technology, just. Before this tech dog here I came from the meeting where, the fire and EMS, community saying hey listen we're starting to deploy body-worn. Cameras because as we're taking vitals from a patient, that. You. Know whatever the patient is saying is being live-streamed directly, out to the hospital, now we're not having to you know report, back to the hospital what this person just told us so here's a perfect. Application, where, the EMS community's starting to use a tool that was predominantly for law enforcement and now using it in a perfect application so, there is where, they're starting to cross pollinate it's, fantastic, yeah and I think that speaks to some, of the reasoning behind the handbook that you're getting at as far as making sure there's open standards for integrated, technology, it's, that you. Know new solutions, are coming out every day and there, could be something out there that could be super, helpful for the first responder community and, this handbook will help that. You, know in partner, that industry, creator, you. Know Either adapt it or make sure that it meets the needs of the first responder community so. They can take it and and begin using it because. That pace of innovation is so fast these days and that's one of the things the handbooks intended to do is. Help. Open the first responder technology, market to those innovators. Eddie. And I were talking before that. Before. They started this and one of the frustrations, that we certainly, acutely, feel is is, oftentimes. First responders, have technology. A plethora. Of technology in their personal life and. They don't see that technology, being brought into there they're the. First responder, space and that's just a focus. Of frustration, that why can't the first or Dumont's Bhandar market be is dynamically. Attune. To the need the operational, needs. That. Exists there absolutely, so. Can we go into a little bit of detail about the handbook itself, now there's three parts right there are can you give us kind of an overview of each part so really they're uh it's. Best to look at them as the parts being in increasing. Level of detail so the part one is really might. Be aptly, described. As an executive, summary so, it really gives you an overview of, framework. The component, parts of the architecture, or the component parts of the. Vision, and it's really to, whet. Your appetite, maybe to give, you an over arch view of what the handbook with the architecture, is all about the. Second level is really for those with some technical, backgrounds. That. Want to get some more details so what is it what is the communication, between the modules so between the comms piece and the controller piece, what, really, how's that how's the data move back and forth how did those modules connect. With each other's energy cetera and then that third part is very much the the technical. Annex so to speak it's it's as close. To an interface, level. Detail, of an interface control document, as we get so that's really for the painful level, of if you've got two engineers in a room. What. Does that message, content, what does that header look like what does the message, consists. Of etc, etc so, there's something for everybody on them there is something for everyone but I want I want, to encourage don't. Get don't. Be intimidated by the the size of the document because it really is increasing. In detail and and it if I can get people. To just, simply, look at that first part as an indoctrination, into, the. Approach I, think that will lay, provide. A perspective and wouldn't. Have the same intimidation. Of, reading. Section 2 or section 3 yeah, you. Know and I was just gonna say that as an end user what I really found valuable about the handbook is it's a one-stop-shop, to, kind of get Total, Immersion on, public. Safety technologies. Know, for those of us that have been in charge of implementing a project let's say a body-worn, camera, or a land mobile radio or mobile data computing, system it's like where. Do I go to get the answers on how to begin a project like this and what, I liked about this handbook is that it takes you as you said from you know summary, overview, of what we're going to be covering, and then, someone who's just inherited, a project, deployment, once, they read this oh these are the standards, oh these are the interfaces, oh these are the unintended consequences. That are kind of spelled out for you in a government format, and you're not having to rely on you. Know a biased, perspective than, perhaps somebody might give you yeah. You know certainly, the handbooks intended, to its its primary, focus if I were to describe it that way is is industry, yeah for industry to understand, where their technology, fits in the space but, it also has applicability to, first responder organizations, and first responders, to themselves, but. More to your point what we do. Expect to develop in the near future is what, would. Have historically, called a deployment, guide or an integration guide, and it and it's a slightly different view, of exactly. Where You're describing what does it mean to me how do i best assess. Where, this technology fits. In with my operational, systems and what do I need to worry about quite honestly though so it's it's much the same information but it's a slightly different perspective. The. Other thing that I liked about this handbook is that you know I think for the first time in, the, history of my service, to first responders, is that. It kind of tells the vendor. Community what. We want and what we need is opposed to the other way around I mean when I first started, you'd have the vendor knocking your door here's, what we're selling today only and make, it fit to your mission right and it's always, got to be the other way around here's my mission, where is the tool, to. Help me apply that tool to my mission and. So that's that's what I really liked about the tool is that it really helps. 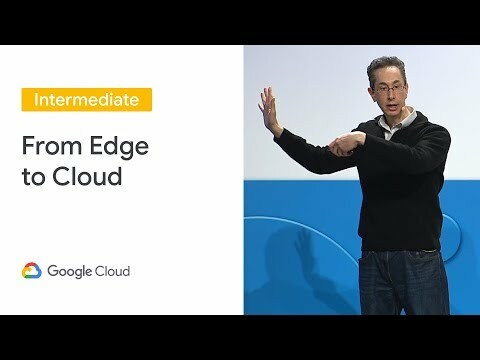 Guide interact, the vendor community on, the, tools and our needs for our operational, readiness and, it's about that you know broad strokes approach so this isn't focused on one or two particular technologies, this. Is saying if you're developing anything, that you think could help a first responder just, make sure it meets these standards and. Then you can you know start a conversation with them and certainly part of the request of feedback is that by, no means do I feel like we've got it all worked out you know it's one of those things where you broaden the audience and you broaden the feedback, as much as you can because I'm, confident. About the core that we've started with right I think it can be expanded you know I'm sure there's technology. In the pipeline that we haven't considered yet perhaps. There's not an operational, need or maybe we haven't married, up the operational, need with the the, emergence of the technology, but the bottom, line is this is intended to be an evolving, effort. And, and certainly with the speed of technology and how quickly it changes. This. May not be you. Know there may be whole sections, that aren't relevant in another five years time or even two or three years and. We we'll the, intent is to set up a mechanism. To ensure that it continues to fill the same, need and addresses, those emergent technologies, as they come out because we're still looking for industry, input on absolutely lugar yes and there's a different version coming out in June so yes we currently, we have slated, to revisions. This year so, we released it for the first time to the public in February okay so, we are, garnering. A lot of interest in getting a lot. Of feedback and comment again, that's widening. The aperture right we're getting it out there for public scrutiny you. Know it may be that we get some feedback that we've, got sections, wrong we've. Got major city deficiencies, the intent is to take that feedback prioritize. It and roll that into a another. Revision for later this year okay. Yes. And how do people submit that input so, the easiest way is first, of all you can read, and download the. Handbook. The three parts of the handbook by going to our website, which, is dhs.gov. Slash. Science. -, and. -. Technology. /n. GFR slash. Handbook sorry that's a little lengthy there's, an easier method and, that, you, can just email us at ng, FR so. That's n g FR @ HQ. Dot, DHS gov, and we'll respond to you with the, sections. And ana comments matrix excellent, and we'll post a link to the ng for integration handbook in the video below so. You can click on it you can go visit see what the current version looks like and then submit your input and, we're looking for input from industry and from responders. Just. One we've. Got a question from Facebook how. Is S&T planning to work with smart, cities does ng, afar fit into the work that NIST and industry. Are doing on standards, and architecture, development for smart connected cities so. So it's a very good question and, and in some ways smart, cities and in other efforts or the 800-pound, gorillas in the room so we do try. To maintain. Alignment. With the smart cities as smart, City so certainly. Public Safety is recognized, as a subset, of the larger smart, cities. Unfortunately. In, some regards smart cities being a good example many. Many standards, but some. That don't, provide the level detail required to actually, have impact, now I, think we're finding the same to be true of another. Large. Activity. That that will certainly significantly. Impact n GFR is the. IT to development of IOT they're they're massive, entities, the. Samsungs the Intel's of the world that are that are dealing with IOT we're. Maintaining, a focus on public safety and its impact on public safety but. Certainly, we expect that those over, time. You. Know medium to long range that those will become more and more aligned with the greater, smart cities so we'll make sure that we dovetail. Into those efforts, we. Maintain, the the floors. Specificity. That's needed. For ng FR but, acknowledge, that it's got to work with a much big bigger ecosystem right because, there's things in this handbook um you know acknowledging, that firstnet it's, building the network you know the public safety broadband network that's going to connect you, know or give access to all public's public safety agencies across the nation access, to a broadband, network specifically, for them I'm sorry so this is incorporated, into the handbook it is acknowledging, that they're you know broader conversations. Broader capabilities, being developed for public safety yeah, and there's a lot of I like to call it cross-pollination. Going back and forth so we've we've, asked questions of firstnet to say hey have where are you with this where's the maturity of this and I feel like we're. Becoming. More of a complementary, activity. Where there's. Some areas that we're a little more advanced, in thinking and contemplating, things, there's other efforts that firstnet or is more advanced, incompetently complementing, or contemplating. And Thinking about and. We'll just make sure that you. Know that we're not reinventing. The wheel yeah so. Certainly a lot of those activities are going on yeah and the way I like to describe it done or especially you know when I'm having to you know do some outreach or, education, and elect an elected official or, you know some some, people that have not necessarily hurt. Or know that much about firstnet, is or, any, of these systems that we're talking about is ice I describe it as a system, of systems they have a natural overlay. Meant over each other they have to complement, each other there has to be a seamless, integration with each, and. Then they have to work you, know very, fluidly. Across all. The, different technologies, I wanted, to go back to a point yet made about the evolution, you, know with the handbook and the next version and that, is you. Know right now we're mostly talking about hardware, and software solutions, but in the future I'll be first responders, I envision five to 10-year picture is a much heavier reliance on, apps in the cloud you, know and and you know that is perhaps is gonna generate. Additional, attention for the next version oh I absolutely agree and. It's. A good point that you make because I think there's. Certainly. The focus, for this iteration is much more. Unbar. So. We we're, we aligned our efforts with this we've got a practitioner. Group within S&T. Called fo RG the first. Responder resource group one. Of the functions, the major function that FRG, serves for us is providing. Operational. Requirements. And prioritizing. Those operational, requirements, and then S&T attempts, to address capability. Gaps so. In. The most recent, actually. One revision ago project. Responder, four was, very on body was clear where the first responder community was going in terms of embracing on body capability, but, I absolutely agree with you I think now but not that we've got on body all sorted, out but we're we are needing. To acknowledge, how that on body capability. Then, integrates, with a larger, multi, discipline, multi-agency. It's, it's in, order to have all these switch situational. Awareness impact, that we that's envisioned, that all ultimately, has to aggregate. Up to a higher level, yeah and. Decision and, of course for the first respondent community every good tool or every good application, has an unintended consequence, in here of course is a security, so well apps in the cloud are wonderful, tools if only, they could be completely bulletproof yeah it. Obviously introduces. Another vulnerability, that we we absolutely have to be sensitive to and, in some ways it's inhibited the the, embracing of the technologies, is there many agencies that don't want to deal with the headache go there yes there's you, know tremendous. Operational, advantage, but, there's also this this, surface vulnerability. That, had in the past that, they were not they. Don't relish, encountering. Yeah yeah well it's good to be thinking about that now. Rather than down the line so it sounds like those conversations, are happening about unattended. You Know effects, we've, got a few more questions from Facebook how. Will you ensure transparency, as. The document, evolves, so, we ultimately envision, the the. Handbook we're, looking for a transition partner what we envision, it. Hasn't. Been realized yet but we would like to turn it over to an S standards, develop an organization, so, we'd like to like. The framework, to become a standard, in and of itself and for, a an. Appropriate. Standards. Development organization, that has a footprint, in the first-responder space, and. And there are several that we're speaking with so ultimately we want to transition the document, to a to, an sto in which case it would fall under their, transparent, approach of how you. Know how changes are introduced how they're adjudicated and. How they become part of a subsequent. Release excellent. Next. Question, can, you speak to the firstnet collaboration. And how the handbook fits in. So. One of the stark ones in, actually you touched on it perfectly there. There. Are all these the. The firstnet, next, generation first responder, all this capabilities, introducing. Another is. Introducing. Acutely. A, security. Vulnerability that hasn't existed with these, stovepipe systems in the past, so. I. Can. Think of our IDM effort with an s and T are, very. Much in line with firstnet. Collaboration, or very much in line with the ident, efforts, within firstnet, okay so collaboration. Is really in those areas of you know how its data aggregated, and secured. What. Does it mean to introduce. Apps into the firstnet network you. Know all those all those sort of things and. It's probably something to consider given the amount of information that, could potentially be shared. Or you know at least gathered, you, know on buddy systems that, has to be transferred back to you know a dispatch center or just you know keeping in mind what the network can handle, right so it is gonna be an ongoing conversation it's oh absolutely yeah. Not. A question from Facebook, what kind of sensors do you envision in the on-body system. Well. I well. I could take a shot at some of those I mean obviously vitals. I mean one of the most important, ones is you know vitals, is it is, the first responder, you know all are there, vitals, all where they need to be before responding. In a high-stress, environment. You. Know the the. Vertical horizontal position. Of The person you know if you have a person in a in a horizontal position for a long period of time that means something has probably, gone wrong and they're not taking, a nap hopefully. So. You, know all these types of sensors the, environment, around them you know they, may not be aware of you. Know some toxic, chemical that they may have walked into but, the technology, on their bodies certainly would detect that and be able to alert them to that before they entered a dangerous environment, so. Not, only for self, monitoring, but for monitoring, their environment, I think those are going to be two, very big sensors that the first, responder, community is looking forward to absolutely. Almost like whatever is possible it, would somehow be helpful yeah sky's, the limit yeah yeah fantastic. Does. The handbook address cybersecurity with, on body sensors, it does some it's, certainly a deficient, area in the three areas that we're most focused on for the next iteration cyber, is one of them so, there is a framework, and. We have some thoughts about that but it's definitely an, area that needs to be more. Robust to truly, address I don't think we understand, all the surfaces. Yet. So. Some. Of our primary focus, I touched, on was more, of understanding. How, to integrate ngf our technology, at an. Enterprise security. Is another aspect of that I'm trying, to think that I don't recall the third area of focus but that, will be built. Out to a greater degree in the next iteration you, know for someone that's been following. Technology, for a long time or me knows to me, you. Know the cybersecurity threat, is an ever-evolving, threat, I mean just when you plug in the hole here yeah another one pops out over here so just, when you think you've solved. This alone you know the problem with the solution, to fix, that malware or that cyber threat you, know another one pops up so this is just gonna be an ever evolving, ball. That we have to keep our eye on and, just continue, to move forward with it and we'll be young so. If you have suggestions, you know please send them in we would we would love to hear your ideas that's, another. Question from Facebook, how, is the integration, framework being tested, in the real world so. Um, Within, my immediate. Organization. Ngf are we. We. Do that through a combination of, in-house, activities. And external, activities, these. Again are involving. In, in terms of their. Expansiveness. Would be the best way to describe it so beginning. At the beginning of this year we had what. We referred. To as an integration a test okay so was essentially to bring together a. Representation. Across, a variety of different technologies, and really. Put the validate. The content of the handbook and. Some of what we're changing, in the handbook is a sort, of an outtake and outcome from that but. More to the the, operational, or the, other aspect of that is to attest it in an operational, environment so it's it sort of follows the traditional. Development. Test and evaluation and operational, test and evaluation so, our first opportunity to do that is an exercise that we're that, is currently being planned with Harris County okay so we're gonna do very much what we did in the the internal. Environment and try, to do it in an external in the in an environment, that is. Operational. To Harris County and some of the standards, apply and it gets both the standards apply and, and where there are serious deficiencies. You know and and and also where we fit in with other operational. Systems so that's that's something that we have a view. On maybe. What it looks like but really until you go through that exercise a few times you, may encounter things that you didn't foresee so, it is, a way, to incrementally. Expose it to a to. Something. Resembling a more traditional operational. Environment, and certainly a. Harris, County is gonna be a more complicated environment, than a than a smaller, more. Rural. Agency. Or County, so. Certainly that's starting, with a big complex. Situation. But. We'll do other exercises similar, that, appropriately. Sized to make sure that you. Know we're not trying for an 100, solution, but we want it we want it to be a 7080 percent solution something that's applicable. To a large section. Of the population first, responder organizations, industry, participants, that sort of thing you know and I have to put in a plug for Harris, County and to, find folks over there especially the late Tom Sorley because, but, if not for these, municipalities. These, counties that are brave enough to step forward and say hey I'm, willing to cut my knuckles on this technology, no one won't ever wants to go first but, they all want to follow whoever he's gone first and say I want to learn on his lessons or her lessons and I don't want to do that mistake or wow this is great success on him but no one wants to take that lead right in Harris County always. Steps up to the play and says this, is complicated, stuff as you said norm and we there's a chance for failure here but, the lessons that we learn could be more valuable than the success that we have absolutely. I Mean the local and you know state partners play such a huge role in making sure that these things are tested, and evaluated it, we know that they work in the real world or that we learn you, know and say okay not quite but, we're getting closer yeah, it's, a great point, we, have a couple more questions we want to get to what, is the deadline to submit feedback for, this next, version for the next version is April the end of April okay 30th but that if. For some reason you feel the crunch and you can't make it in on time there would be a iteration. That follows three months after that okay so the deadline I think, it's 90 days following that but. If you email me at Ngor I can. Verify that but. Certainly the next deadline is April 30th FEMEN we'll take, all the comments we'll judicata, and, make, sure that those are properly, reflected, in the next revision, so, if you want to be this next version, by April 30th but there will be opportunities, after that absolutely gasolin how. Will new ng of our solutions, get evaluated approved, as a firstnet enabled solution, and who will give that approval that's. Something, I'm not clear on it the moment, yes so we'll have to. Have. To take that offline yeah so if you contact me if they NGF our handbook I'll see what I can respond. To that but that is a question that often comes up because it's not well understood it does yeah, and. I think for the most part you, know firstnet, is just so new and just evolving, into our operating space that. We still don't have answers like that again yeah so. I just have two more questions, one. We've kind of touched on this but how do you see the handbook evolving, moving, forward whether it's to cover apps in the cloud but how do you see it progressing, over the next 5-10 years, um. So it's twofold I think one it, does need to deal. With some of the deficiencies. That exist it has to, it. Has to better, describe, how, that. Marrying, up of this, new technology and legacy systems right because no one's gonna have a luxury, of replacing. All their operational systems so. It's got to fundamentally, address that and. To it's, we've got to think of it in terms of a living. Document so, I think. It will continue. To serve a function. I don't. I can't imagine the. Technology. The. Pace of change in, technology it's gonna gonna slow down so. I think there will continue to be a need in a new area to focus on did. You have any other thoughts about no I'm that's spot-on that's exactly how I was thinking right along those lines I mean this has absolutely. Got to be a living, breathing document because, of the change of technology the, threats against our technology, and so it's, just constantly got to be evolving, it's. A continuous, input continuing, the conversation, and. I could see how it would possibly align with as, the FRG and other activities. Like that identify, capability. Gaps and, prioritize, those capability, gaps if, their technology is associated, with that and that would fundamentally you, know you'd have to prioritize it, to make sure that there's the the, framework and the and the technical, specification, to support those activities, absolutely. Last. Question for me if you could leave people with one takeaway about the, handbook what would it be oh. Yeah. Oh my god well, first and foremost you. Know you've got to take, it in with an open mind don't. Come In with any preconceived, notions, that you. Know the government didn't. Do a good job with that just come in with an open mind give it a fair shot and. And you know this is an elephant you got to eat in pieces and. And start to you know summarize, it and then, start with your working your way through it but most important. You know start to understand, that this is really a tool not only for the vendor community to, deliver a better product for first responders but. For first responders to understand, how, all of these complicated, technologies, interface, with each other and. So you know I think it's it's a great benefit for both sides of the playing field you know those that produce these great, tools that we need every day on our job and those, of us to use these tools every day how. We can get them to interface better I think. UT did that that up in, a great way and that you. Know we don't it's, not our skin in the game it really we. Want this to be a collaborative, effort we. Don't want it to be big government saying this it's not that at all right this is a reflection of everyone that we've touched we've had touch points with so, far and as that as those, industry, partners and first responder, agencies expand. Will, include their feedback. Oftentimes. My way of viewing, things is you try to get that 60 70 percent solution and then you start broadening the the feedback in the audience and the in the stakeholder, community and you, also get, their feedback and hopefully if you've done it right you know you're not, they're. Not continuing. A you. Know identifying, capabilities, that you've missed you know that there are little tweaks and everything else but the fact of the matter is if if. The feedback is this, just misses the mark then we'll go back and we'll we'll, assemble, the right people to provide feedback and comment and we'll address it but, we fundamentally want this to be something, that helps first responders, and their and their in. The way that they procure technologies. We want to help you know industry. Understanding. The first responder market, understanding first responder requirements, and how they might. Be able to tweak their. Products. To to cater to the you know to open a new market to them maybe they're not traditional first. Responder type technologies. And quite, honestly we just want, to we, want to expand, the the products. And opportunity, technology. Opportunity. In the first responder environment, mm-hmm all right thank you both so much, if you are member of industry, remember the first responder community we, invite you to check out the first responder integration, handbook please, send us your feedback we'll. Post a link in the post, in the comments below and thank you all for tuning in. Thank you again thank you. We are working with several police departments and in communications with the Pentagon.